Some of the most brilliant minds come from Israel. Their creative thinking often challenges what many see as unchanging truths. The USB flash drive, GPS, WIX, and Solaris Synergy were all invented in Israel. 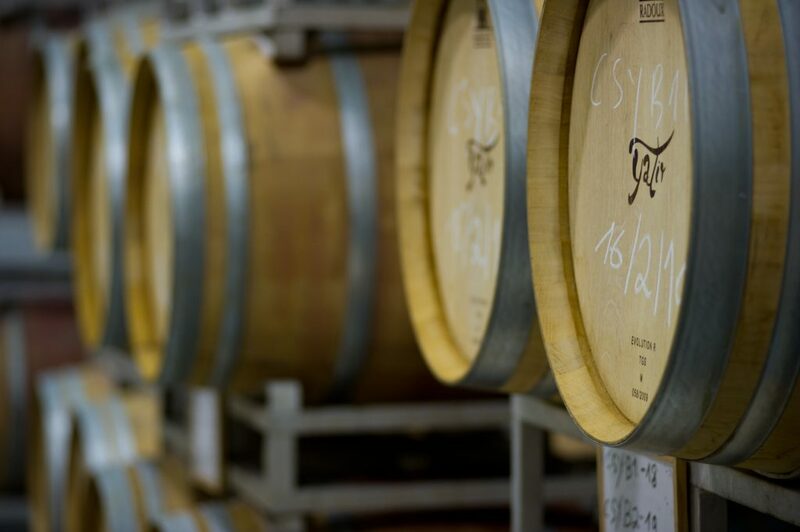 Lucky for us, some of those creative minds are hard at work in Israel’s burgeoning winemaking industry, leading recently to substantial gains in quality and complexity. More and more Israeli wine professionals are traveling to Europe to learn from leading winemakers and educate and expand their palates. 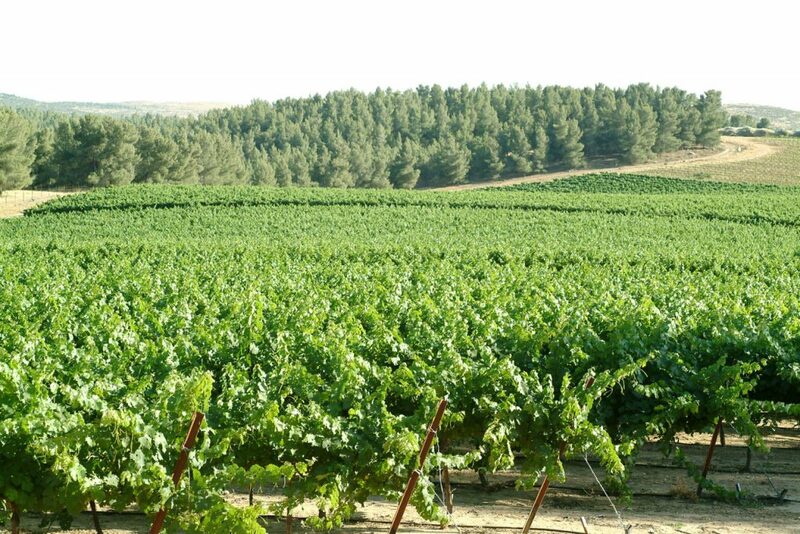 And, on a quest for the ultimate expression of Israeli terroir, several Israeli wineries have hired experts from Bordeaux to consult on viniculture and viticulture. One of my favourite regions in Israel is the Negev, a large desert in the southern part of Israel, which actually makes up 60% of the whole country. In 1947, Ben Gurion, Israel’s first Prime Minister, embarked on a mission—lehafriach et hashmama—meaning, to destroy the emptiness of the Negev. He was so determined to see his dream become a reality, that even when warned by experts that trees would not grow there, he simply replaced the experts. Now, verdant with beautiful pistachio, pine, and olive trees the Yatir is one of the largest forests in Israel, and it grows in the Negev. And integrated into the forest, among the trees they said would never grow, are several small vineyards. Each one enjoying its own unique soil, altitude and angle of slope, which allows the different grape varieties to grow to their maximum potentials. The warm days and cool nights which are typical of dessert conditions, result in fully ripened grapes with enough acidity to maintain balance and structure. 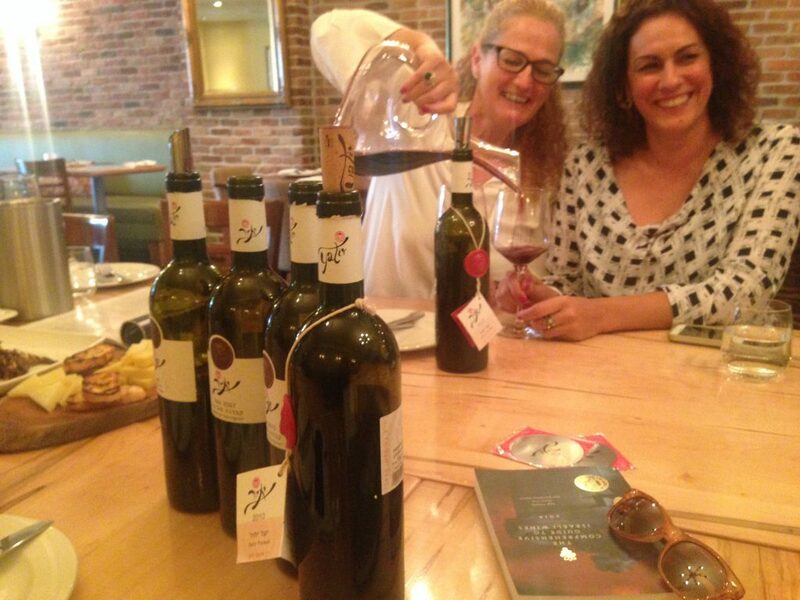 I recently attended a wine tasting at the Elm Tree Restaurant in Toronto, where I met with Eti Edri, Assistant Manager of Yatir Winery, who guided me through a tasting of Yatir wines. 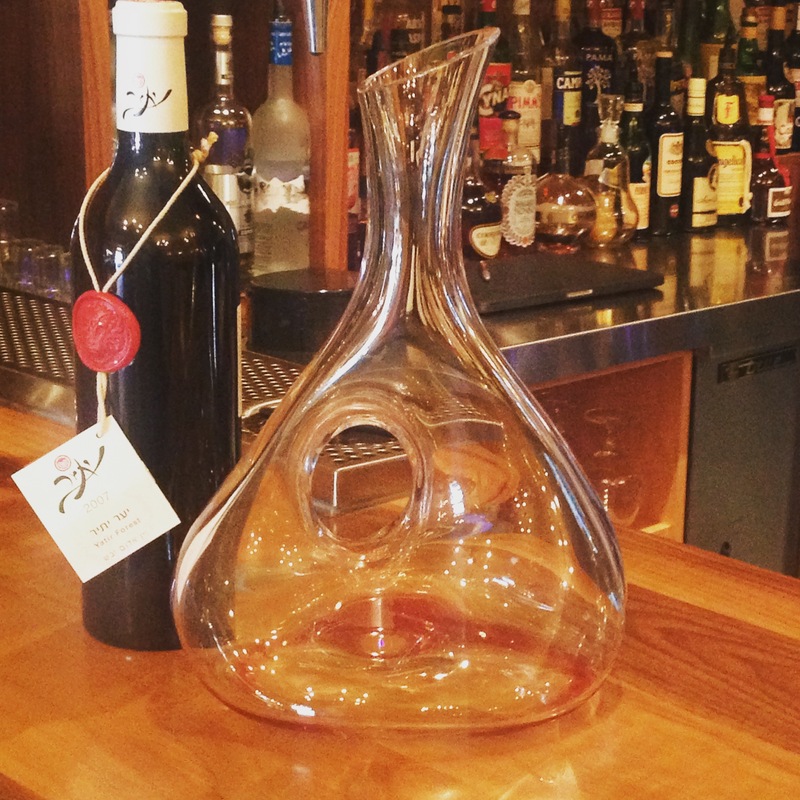 Yatir, Syrah – Eti explained that this wine was called Shiraz a few years ago, but for recent vintages they decided to change it to Syrah, which is indicative f the Israeli wine scene’s shift away from New World-style to Old World-style. Syrah is an early ripened grape which is showing great growing potential at the Negev. This medium-bodied Syrah has smooth yet evident tannins, flavours of dark cherries, black and red currants, combined with delicate beet flavours, earthiness and a touch of smoke on the finish. Yatir, Cabernet Sauvignon – A good balance of plum and black fruit concentration, combined with a touch of Mediterranean herbal notes. This full-bodied Cabernet Sauvignon has a great balance of fruit-forward flavours and acidity –creating an elegant, food-friendly wine—and fine structure. The tannins are evident yet not harsh, that said, the wine can definitely benefit from aging, softening the tannins even more, and allowing the herbal notes to bloom, creating a more complex wine. This wine has great aging potential of 12 -18 years. Yaar Yatir (Yatir forest) – Yatir’s winery flagship wine is a blend of Cabernet Sauvignon, Petit Verdot and in some vintages Merlot and Malbec, too. Eti Edri generously opened three vintages: 2012, 2010 and 2007. This vertical tasting showed me how gracefully this wine ages; how much more complex, deep and interesting the wines turn out to be with age. The 2007 vintage is a powerful expression of the terroir, with rich forest fragrances, freshness, and strength. As a sommelier I usually spit wines at tastings since I have to taste so many, but to spit Yaar Yatir 2007 would have been a crime! Imagine my disappointment when I discovered that the 2007 is not available in the marketplace anymore. The 2010 and 2012 vintages are a little shy, keeping their complexity and depth hidden…for now. Give these two wines a little bottle ageing in proper conditions and watch them blossom, just like the forest they’re named after. As co- owner of Chef & Somm, the GTA’s only Bespoke Private Dining and Sommelier Service, Rebecca has acquired over a decade of experience in some of Canada’s- and the world’s- top dining rooms. She earned her hospitality, service and sommelier skills at top restaurants- Canoe, Luma, Blü Ristorante and Maple Leaf Sport & Entertainment- but Rebecca is always learning, tasting, and cultivating relationships with winemakers, local and abroad.